Someone's Kid is Gonna Name the Next Mars Rover. Why Not Yours? Do you know the name of the next robotic explorer to set down on the planet Mars? Better still, do you want to name it? If you're a student age 18 or younger, you have a shot at it. If you're interested, get your essay-writing game on. NASA will soon be holding a contest to select the official name for its Mars 2020 rover, scheduled to land on Mars in two years on a mission to search for signs of life. NASA is currently reviewing proposals from non-profit and educational institutions to conduct the essay contest, which will take place in the 2019 academic school year. Students from kindergarten to the 12th grade will be given the opportunity to submit an essay championing their name choice for the rover. Mars 2020 won't be the first robotic rover named by a youth. In fact, not only has every Mars rover been named by a student, every one of the winning essay writers was a pre-teen. 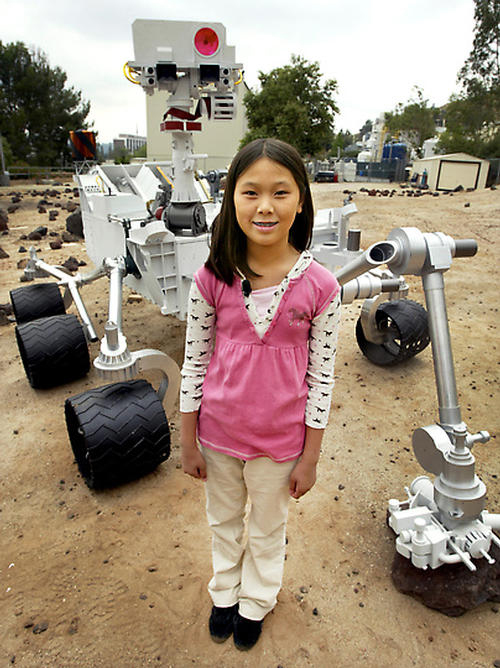 In 2012, the Mars Science Laboratory rover, now exploring the water-laid sediments of Mount Sharp in Gale Crater, was named Curiosity by then 11-year-old Clara Ma. Clara won the naming prize with an essay less than 250 words long. "Curiosity is the passion that drives us through our everyday lives. We have become explorers and scientists with our need to ask questions and to wonder. " — Excerpt from Clara Ma's essay. 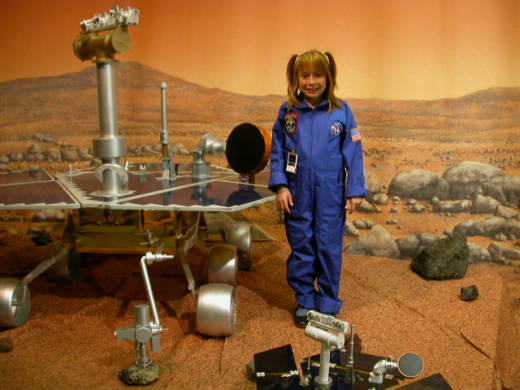 Going back a few years from Curiosity, the twin Mars Exploration Rovers, which landed in 2004, were bestowed the names Spirit and Opportunity by 9-year-old Sofi Collis of Scottsdale, Arizona, an adopted orphan born in Siberia. She wrote the winning 50-word essay, saying, "In America, I can make all my dreams come true. Thank you for the 'Spirit' and the 'Opportunity.' "
Though Spirit ceased communicating with Earth back in 2010 during its ongoing exploration of Gusev Crater, its twin, Opportunity, was still active up to last June. Opportunity went into a protective "sleep" mode during a major global dust storm that cut off sunlight to its solar panels. The dust has now mostly settled, but it's not clear whether Opportunity will wake up and continue exploring the possibly water-carved Perseverance Valley. That brings us back to the first-ever Mars rover, the mobile component of the Pathfinder landing mission. In 1995, the announcement of this robot's naming contest was posted in the January issue of the National Science Teachers Association's magazine, "Science and Children." Students were invited to write an essay about the historic accomplishments of a selected heroine. Essays were accepted from all over the world, including almost 1,700 from students 5 to 18. The winner was 12-year-old Valerie Ambrose of Bridgeport, Connecticut, who selected Sojourner Truth as her essay subject, an African-American reformist around the time of the Civil War. Fun, and somewhat-related, fact: Pluto was named by an 11-year-old girl from Oxford, England — Venetia Burney — following a worldwide call for naming suggestions. The Mars 2020 rover (what will you name it?) is a physical twin of Curiosity, but will be equipped with a different set of scientific instruments and goals. 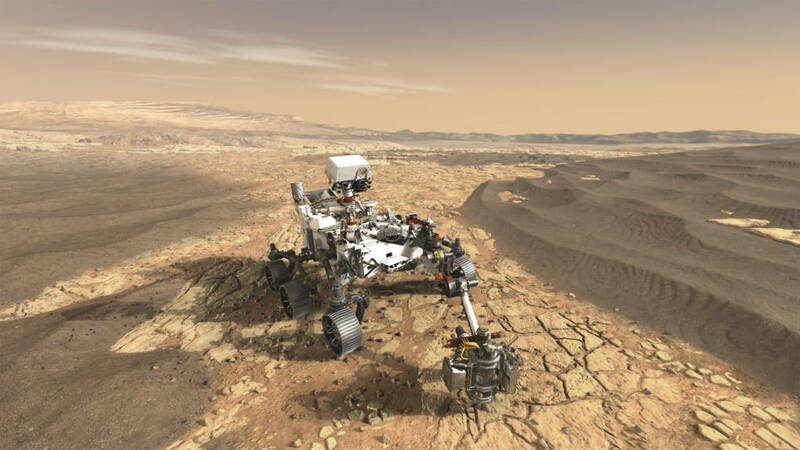 Where Curiosity was designed to investigate and assess the history of water on Mars and its suitability to have sustained life, Mars 2020 will search directly for signs of past life on the Red Planet. Mars 2020 will analyze rocks for "biosignatures" of past Martian life, as well as assess past climate conditions. And though the Viking landers of the late 1970s performed experiments to detect present microbial life in Martian soil, Mars 2020 will be the first mission to seek out signs of past Martian life. So, if you want to be the one to name the new rover, start reading up on past winning essays, give some thought to Mars 2020's scientific goals and mission, and keep your ears open for the contest's announcement. It could be you!